Learn how stress affects the body through a variety of signs and symptoms. Let’s face it – we live in a world with many stressors and no one is exempt from experiencing stress during his or her lifetime. And while our stress response is actually designed to help us in immediately stressful situations, for example if our life was in danger, serious, long-term stress can put a lot of pressure on the body. And the physical effects of stress that is long-term can show up in many different ways and through a variety of symptoms. Click here to learn 6 surprising triggers of anxiety. A reaction to stress is natural; when stress or anxiety builds because of a situation in life, the hypothalamus region of our brain sends out an order that releases stress hormones throughout the body. 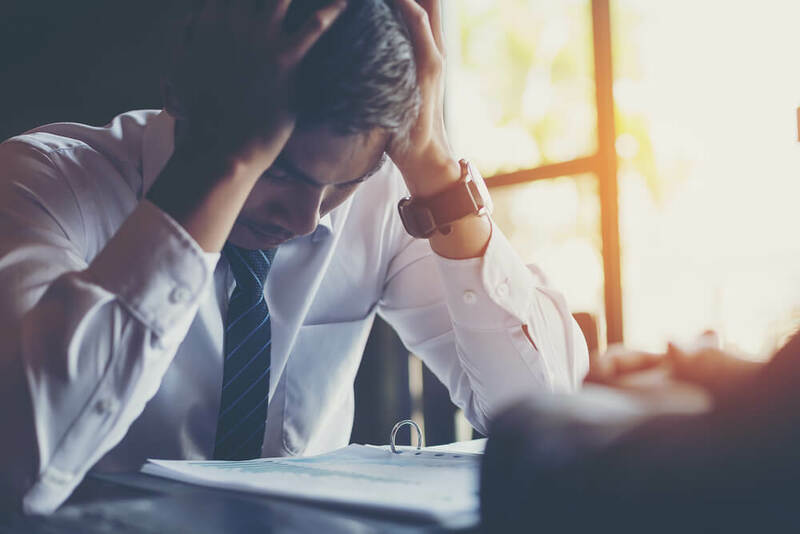 You’ve likely experienced how stress affects the body – your breathing may get faster, your heart races and may feel like it is pounding, you can begin to sweat, and in some cases, you may feel like you need to use the restroom right away. Headaches – Ongoing stress can trigger tension headaches and also make them feel more severe. Mental Health Issues – Longterm stress can drain us emotionally and can lead to issues with anxiety or experience a depressive episode. Immune System Issues – If we continue to combat stress, our immune system is weakened over time. This can make it more difficult for our body to protect us from infections, and may also act as a trigger in people with autoimmune conditions. Fertility and Period Problems – Ongoing stress can wreak havoc on hormones, which can completely throw off your normal menstrual cycle or stop if from occurring. Longterm stress also can interfere with our reproductive systems. This can happen in both females and males, and may make it more difficult to conceive a child. Muscle Pain – If you are experiencing stress, you may feel a tightening in your muscles, particularly in your back. This is common as stress hormones make our muscles tense up. Stomach Issues – Stress has been linked to an increase in stomach acid, which can bring on heartburn. It can also interrupt our normal digestion, making us experience stomachaches, indigestion, nausea and more. Sleeping Troubles – Having trouble getting a good night’s rest when you are experiencing high stress? You aren’t alone. Stress is known for making it hard to fall asleep and then stay asleep. Many people experience seasons of insomnia when they are stressed, which can cause a vicious cycle of feeling irritable and being even more stressed because you haven’t slept well. Get some light exercise regularly, even if it is going for a walk around your block. Consider meditation, mindfulness exercises that you can do from a cell phone app, restorative yoga, or treating yourself to a massage or bubble bath. Stay in contact with friends and family and remember to socialize. It is common for us to want to withdraw when we are feeling stress, which can lead to increased feelings of depression. Do something you love such as reading a book, singing, painting, or going out to see a movie. Taking some time for self-care is not a selfish act! Also, know when to seek help. If you are feeling strange and you aren’t sure if stress is the culprit, see a doctor as soon as possible, especially if you feel any chest pain, have trouble breathing, or experience dizziness and nausea. Many symptoms of a heart attack can mimic stress symptoms.